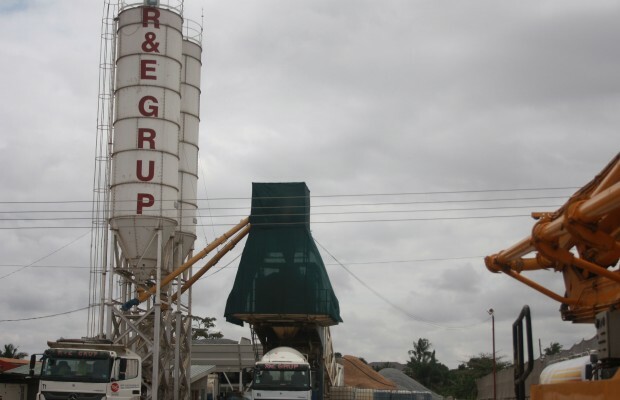 Residents of SDA, a suburb of the Adenta Municipality in the Greater Accra Region, are groaning with pain over excessive noise and dust being generated by a concrete manufacturing company. They have therefore issued an SOS to the Environmental Protection Agency (EPA) to come to their aid. The EPA had earlier warned the company of excessive noise and environmental pollution. Even though the company claims that it’s doing everything to ensure the safety of the environment, residents say its efforts are not enough. When DAILY GUIDE visited the place recently, a resident said the banging noise created by the buckets of the trucks when offloading sand and stones, normally wakes them up in the middle of the night or sometimes at dawn. “The tipping and loading processes of sand, stones and concrete onto the trucks on the company’s premises generate so much dust and noise which affect us greatly. The worst part is that the people work 24 hours. As for the dust, it is so bad that I have to clean my furniture and sweep my rooms all the time,” the resident said. Another resident, who couldn’t hold back his anger, poured out his frustrations, saying that he found the sitting of such a concrete company in a residential area as unfortunate. “I don’t understand why such a company would be made to put up such a structure in the middle of a residential area. What is the Environmental Protection Agency doing about this? They work day and night with noise and dust all over the place. We hardly sleep in this neighborhood. The EPA needs to do something about this,” he charged. But one resident said he was not bothered about the operations of the company, asserting that vehicles that ply the Adenta highway close to the company rather make a lot of noise. A report by EPA on the operations of the company – a copy of which is available to DAILY GUIDE – also confirmed that dust and nuisance levels recorded at the southern, western and the northern ends of the concrete batching plant were above the EPA guidelines for residential areas. The report was based on an environmental quality-monitoring test, which the R&E Group had contracted the EPA to do in order to get an EPA Compliance permit. DAILY GUIDE gathered that EPA had recommended that the company should ensure that the discharge of raw materials unto the loading hopper was controlled by lowering the sacks containing the raw materials closer to the hopper to minimize the release of dust into the environment. EPA also directed the company to install enough water sprinklers on their site and raise Geotextile screens which would serve as dust collectors around the batching plant to minimize the level of dust pollution in the area. Most importantly, EPA had also asked the company to relocate from its current site when its lease permit expires in December 2017. When DAILY GUIDE visited the site on Tuesday, Kennedy Amoako, External Relations Officer for R&E, said based on the report they received from the EPA, his outfit had also conducted a survey involving some residents and was trying to address some of the concerns raised to minimize the negative impact of its operations. “Since we received the report from the EPA, we have been installing machines and trucks that meet European standard. These new machines generate less noise. We have also installed the dust screens and the sprinklers that EPA directed us to do. We are making everything possible to make sure that our neighbours are happy with our operations,” Mr Amoako said. He however, denied that his outfit operates 24 hours.